Class photograph of students at the San Leone Magno Fratelli Maristi boarding school in Rome. 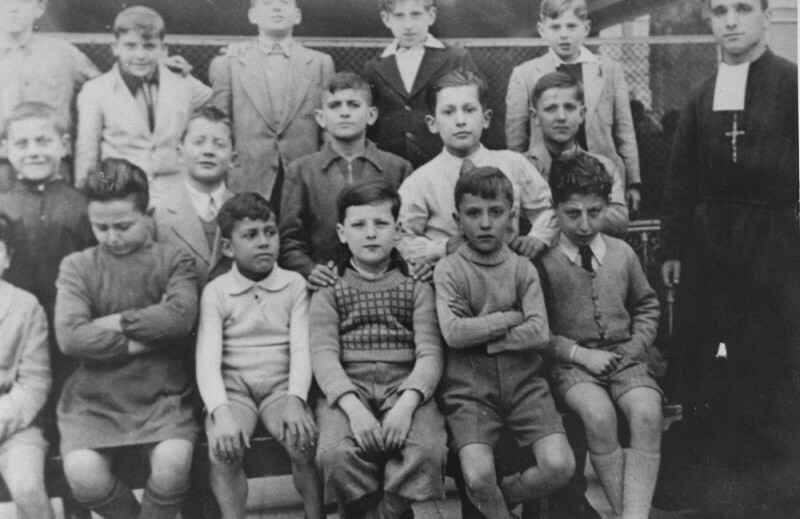 Pictured in the top row at the far right is Zigmund Krauthamer, a Jewish child who was being hidden at the school. Rome, Italy, 1943–44.